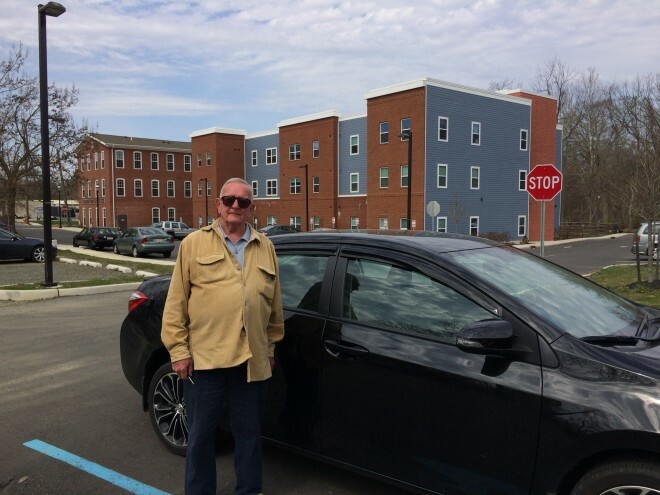 When Bob Gardner drives his new car up to his home, he is happy that his full life of adventure has lead him to the front door of Union Eagle Senior Apartments in the City of Bordentown, NJ. Bob, 72, is a U.S. Army veteran who received his draft notice just two weeks after his high school graduation. Three weeks later in the Chambersburg neighborhood of Trenton, NJ, Bob’s parents said goodbye to their only child as he headed off to Vietnam with many of the other young men in his neighborhood. Bob served a two year tour where he met many people and saw many things, “some good, some bad,” but that was enough for him. He wanted to come home. At home in New Jersey, Bob spent many years working in real estate as a property manager. Bob worked for his last employer for 13 years, and was living in one of the rental units he managed. Unfortunately, the company changed ownership and increased their rents. Bob could not afford the changes and faced eviction. With the fear of being homeless, Bob went to the Burlington County Department of Military and Veteran’s Services and met Walt Tafe, the department director. Walt brought Bob to Union Eagle Senior Apartments in September 2016, just after the community opened. Bob moved in shortly after to occupy one of the five units in the building reserved for subsidized supportive housing for veterans. Recently, Walt had even more great news for Bob. In January 2018, Walt asked Bob to join him for dinner. When they arrived at Ramblewood Country Club in Mt. Laurel, NJ, more than 200 people were awaiting a special appearance by him, and they had a big surprise -“Today is your day,” Walt told him when they arrived. Shortly after the program, they escorted Bob outside to hand him the keys to his new car, a 2016 Toyota Corolla with only 15,000 miles. It truly was Bob’s day. Bob loves living in the City of Bordentown and appreciates the nice, convenient downtown area. He is friends with his neighbors, local law enforcement and people in the community. The support staff of Union Eagle Senior Apartments have been a great help to Bob, too. Property manager Cynthia Jeannot and resident services coordinator Megan Smith have helped Bob with paperwork and connected him to services in the community.